There will be a funeral service on Wednesday, January 23, at 10:30am, at the First Reformed Church in Hull. The Rev. Dr. Verlyn Boone will officiate. Interment will follow the service at the Hope Cemetery in Hull. Visitation will be after 5:00pm on Tuesday, with the family present from 5:00pm to 7:00pm, at the church. Arrangements are with the Oolman Funeral Home in Hull. Gary Lee was born on July 15, 1954, in Sioux Center, the son of Gerrit John and Gertrude (Pollema) Van Sloten. He was raised on a farm north of Hull, where he helped with milking cows from an early age. In 1972, he graduated from Boyden-Hull Community School. Following high school, he attended Northwest Iowa Community College and obtained a power lineman degree. On August 13, 1975, he was united in marriage to Barbara Kay Schneider at the Newkirk Reformed Church. They made their home on his family’s farm, where he continued milking for more than thirty years. He was currently raising heifers and hogs along with crop farming. Gary was a member of the First Reformed Church, where he had served as a deacon. He was currently a member of the Hull Cooperative Association Board. 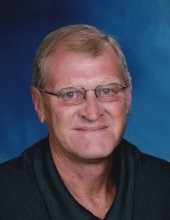 He enjoyed watching and attending sporting events, vacations with friends, traveling and bike riding with Barb, and spending time with his grandchildren. He loved harvest season and was fond of his farming neighbors. Survivors include his wife of more than 43 years; three children and their spouses, Stacia and Casey Timmer, of Spencer; Ryan and Jessica (Lorenz) Van Sloten, of Ankeny; and Cody and Tirzah (Peterson) Van Sloten, of Burtrum, Minnesota; seven grandchildren, Gavin and Dylan Timmer; Ava and Alyssa Van Sloten; and Cameron, Harrison, and Kennedy Van Sloten; two brothers and their wives, John and Coreen Van Sloten, of Rock Valley, and Norm and Bettie Van Sloten, of Boyden; a sister, Winnifred Van Veldhuizen, of Rock Valley; two brothers-in-law and their wives, Ron and Judy Schneider, of George, and John and Anita Schneider, of Marcus; and several nieces and nephews. In addition to his parents, he was preceded in death by Barb’s parents, Gerrit and Hermina Schneider; and a brother-in-law, Edwin Van Veldhuizen. Memorials may be directed to the First Reformed Church building fund. To send flowers or a remembrance gift to the family of Gary Van Sloten, please visit our Tribute Store. "Email Address" would like to share the life celebration of Gary Van Sloten. Click on the "link" to go to share a favorite memory or leave a condolence message for the family.